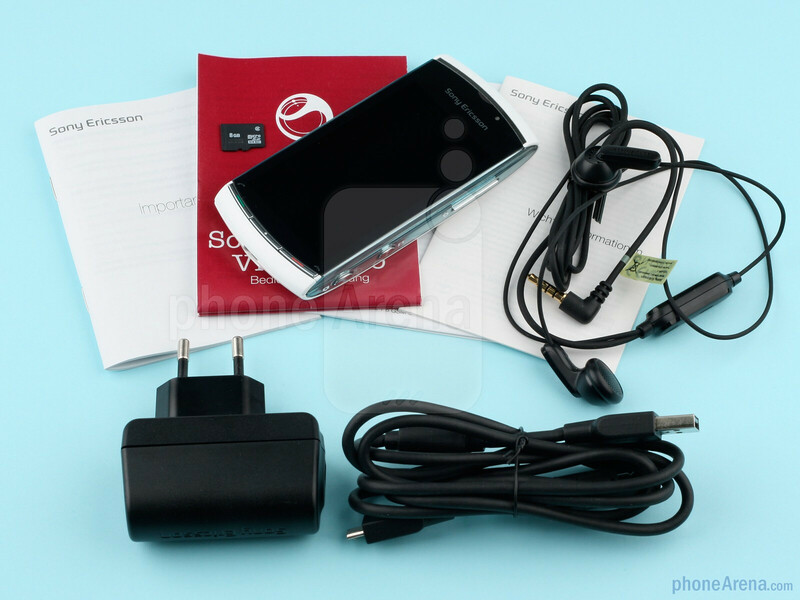 Sony Ericsson Vivaz Pro Release Date – Q2, 2010. 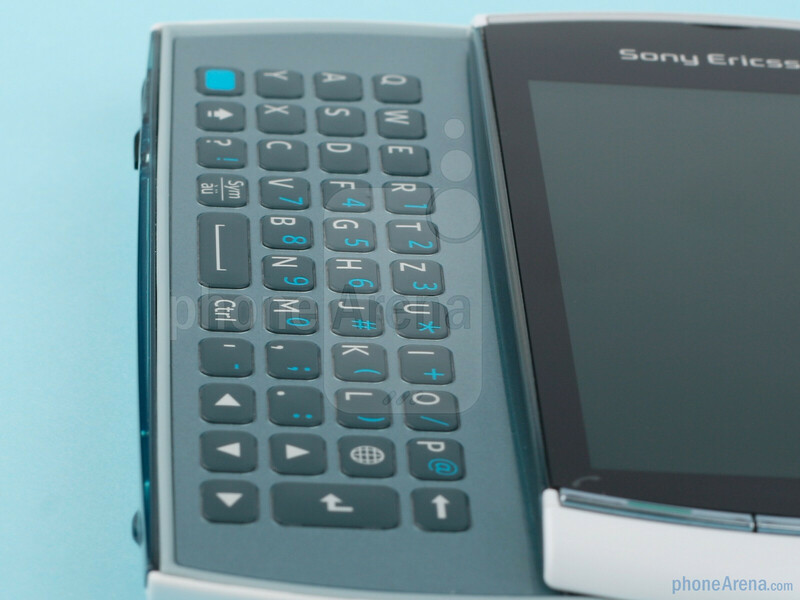 After we already reviewed one of the buzz-worthy phones this spring, the Sony Ericsson Vivaz, now we have the pleasure to run its keyboard-anointed sibling – the Vivaz pro – through its paces and see how it stacks up against it. Appearing just in time for the summer jams, it also sports the ability to shoot video with high definition quality, something very few phones so far have bragging rights for. To avoid repetition we will be pointing out what the Vivaz pro brings to the table that the Vivaz doesn't have, and vice versa. So read on as we try out the keyboard and camera, and elaborate on the new firmware that was just announced for it - we have it all lined up to help you decide which one to take home. 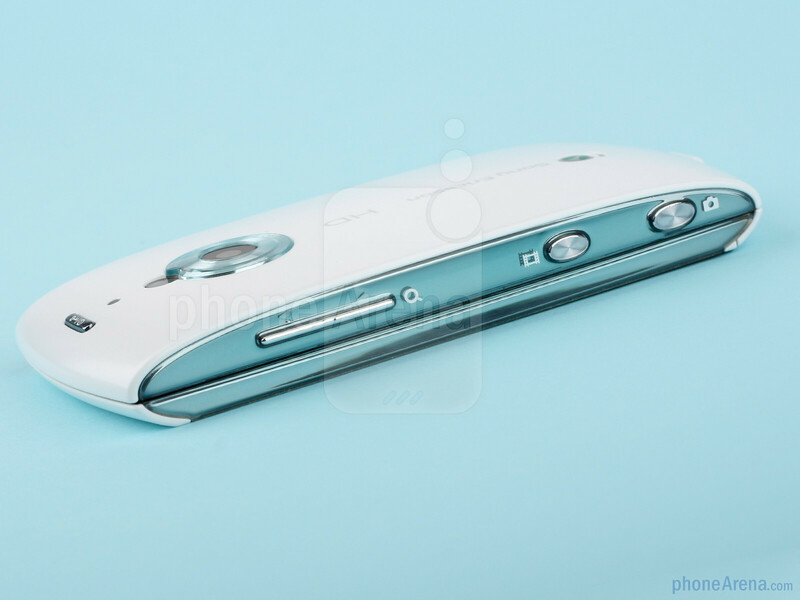 We received the slick white version, as opposed to the black Vivaz review unit, which might bias the design overview because the phone simply looks great in white. Leave it to Sony Ericsson to craft a beautiful piece of technology (and price it accordingly), and the Sony Ericsson Vivaz pro does not disappoint. 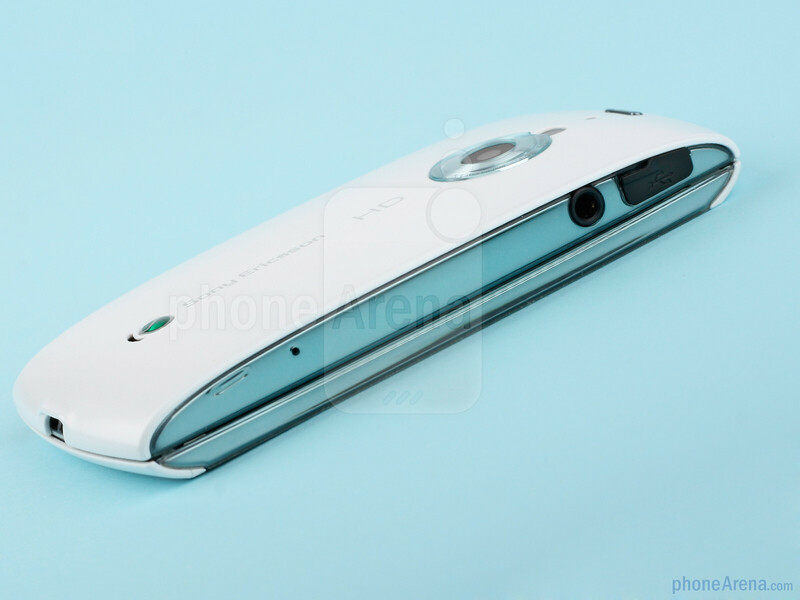 It's curvy, it is small and light, it fits perfectly in the hand, hey, the white version might just become women's favorite. At least the ones we showed it to fell in love with it. 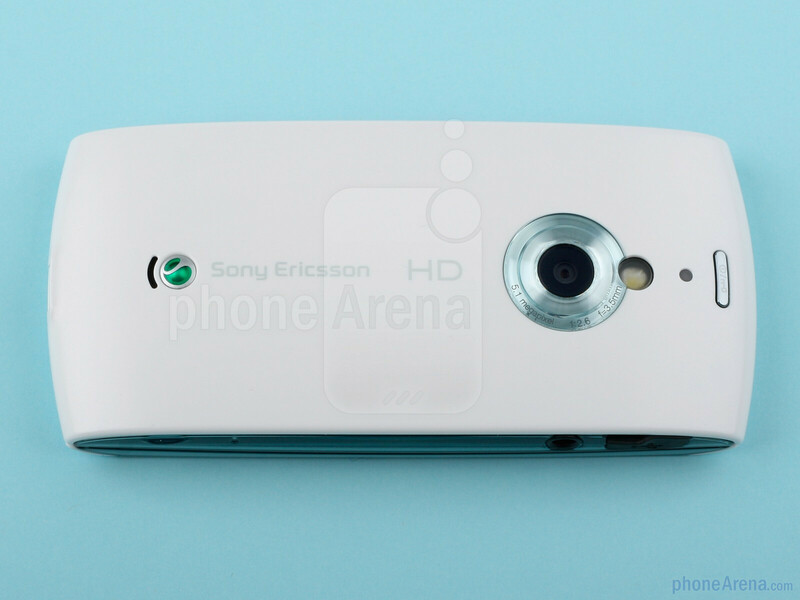 You can compare the Sony Ericsson Vivaz pro with many other phones using our Size Visualization Tool. Not so long ago we used to associate phones that had a slide-out keyboard with bulky, capable powerhouses that were tailored more to the business user, where function often trumps form. 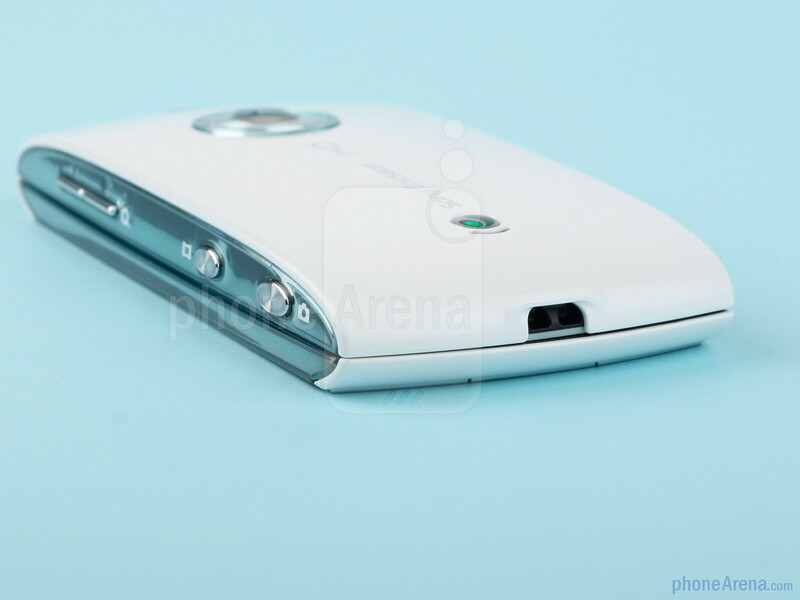 Sony Ericsson has done outstanding engineering to keep matters thin and rounded, and this might easily be the most elegant phone with a full slide-out we have been holding so far, despite the fact it is an all out plastic construction. It is just a tad taller than the Vivaz, with the negligible 2.5 mm added thickness, but keeping the same 360x640 3.2” screen with vibrant, saturated colors but of the nail-friendly resistive type. 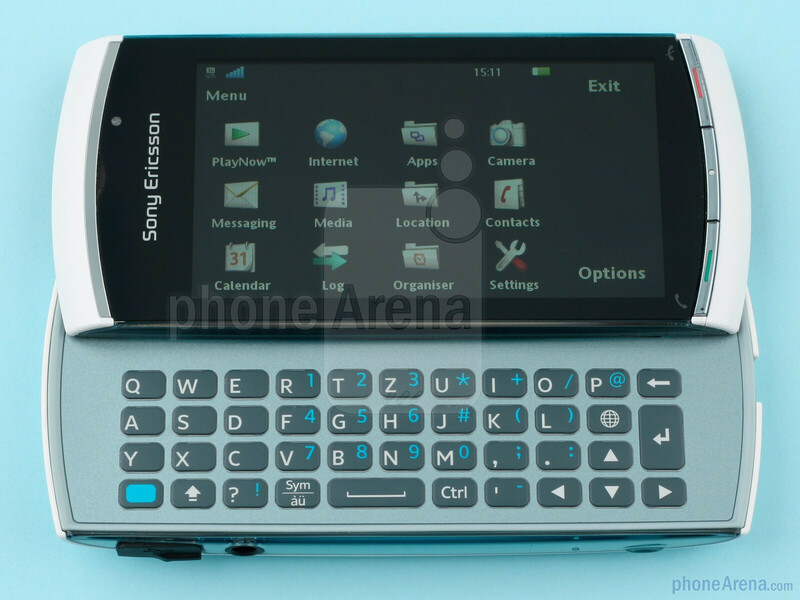 The left side of the Sony Ericsson Vivaz pro has undergone some design changes – the microUSB port is at the top now, swapping places with the 3.5mm audio jack. The speaker has gone to the back, and at the bottom left side we have the mike and the small protrusion aimed to steady the grip when pressing the two camera buttons on the right side. The fronts of the two devices are absolutely identical, the screen is the same fingerprint magnet, with one more point that might appeal the Vivaz pro to women apart from the design - it can be used as a decent mirror, and that's as good as the screen gets outdoors in direct sunlight, barely visible even to frame pictures. Now let's get down and dirty with the keyboard - after all that's what the Vivaz pro is about and the Vivaz is not. In short it is great, slides out easily and snaps into place with a reassuring click of the just tight enough spring-loading mechanism. 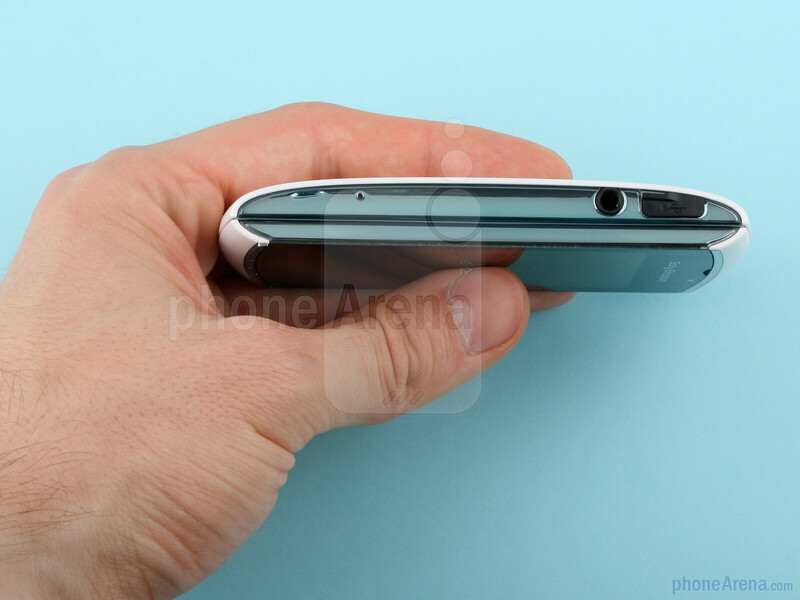 Not only is it well-built and the phone itself is so light, but also the weight of the two halves is distributed evenly so as to allow comfortable typing without having to do wrist exercises. The key travel is a bit shallow, but we didn't expect more considering how thin the device is, and having a rubberized physical key under your thumbs does wonders for typing speed and accuracy. The layout is rectangular in the modern style named after the “Chicklets” chewing gum blister packs, which makes for a very good space between the letters. We got the QWERTZ version of the Sony Ericsson Vivaz pro so don't fret to see the places of the “Y” and the “Z” swapped in our phone shots, it's the German layout. All in all cool, tight and functional small keyboard for those annoyingly long Facebook statuses you have grown to hate.